James Bond (Daniel Craig) starts to uncover the shadowy secret global organization that has been pulling the strings of all his previous adversaries known as Spectre. 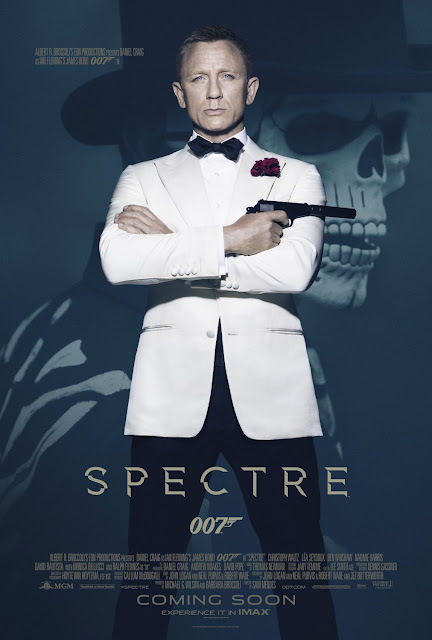 "Spectre" is the fourth installment and possibly the final film in the Daniel Craig James Bond series. This film connects the previous three villains and plots to a mastermind organization known as Spectre, run by a shadowy figure named Oberhauser, played by the wonderfully menacing Christoph Waltz. James Bond is trying to uncover what exactly this organization does, while M, played now by Ralph Fiennes, fights a political battle at home while the British government debates whether or not to dissolve the 00 program, which is seen as out of date and antiquated. This is a battle that Judi Dench's M started in "Skyfall," and with the 00 program in jeopardy, M has a constant shadow on him known as C, played by Andrew Scott, who wants to protect king and country with technology, not licences to kill. As Bond closes in on Oberhauser, he and his Bond girl Madeleine Swann, played by Léa Seydoux, the daughter of Mr. White, played by Jesper Christensen, must piece together Spectre's shady dealings and Oberhauser's tangled web of deceit. The Daniel Craig Bond movies serve to establish a backstory for him, and in "Spectre," we see the circle finally become closed. From the get go, this movie sees a shift from the last three more dark, gritty Bond movies into the classic James Bond filled with style, quips, and the overall more established formula for which the Bonds before it were known. There are a few more covert gadgets being include in this installment than have been used in the previous three films, including the use of an ejector seat, a bomb watch, and a flamethrower in the tailpipe of Bond's car. These classic elements come together with a modern flare, tons of explosions, loads of action, and numerous characters. Most notably retro is the main villain from "Spectre." Oberhauser is an arrogant mastermind criminal that can definitely be compared to past Bond villains. The suit, the loafers, the cat...does this remind you of anyone? He's the type to openly invite Bond to his hideout, show him around, and reveal his master plan all before attempting to kill him in an overly complicated manner that would make Dr. Evil proud. Oberhauser even has a physically imposing assassin named Hinx, played by hunky beefcake Dave Bautista, to do his muscle work for him. Hinx has metal thumbnails which he uses to drive through the eye sockets of his enemies and to crush their heads. Again, Hinx is a throwback character that can be compared to "Goldfinger's" Oddjob, who had a bladed hat, or the towering Jaws from "Moonraker," who had metal teeth. The opening shot of "Spectre," which is seemingly one beautifully executed and continuous take, sets the tone for what's to come in a spectacularly engaging way. After an incredibly alluring introduction set to Sam Smith's Bond theme song "Writing's on the Wall," a lot of moving parts come into play, and while it sometimes feels belabored, other times, it seems scant. Many people who have seen this film have complained about its lack of a dark tone, angry at director Sam Mendes for shifting toward the familiar instead of unexplored Bond territory as he has done in the past. It is clear that the franchise has taken a step away from the gritty towards a more fun feeling to the dismay of many fans. Even though "Spectre" is heavy on action, it is not better than "Skyfall" or "Casino Royale." 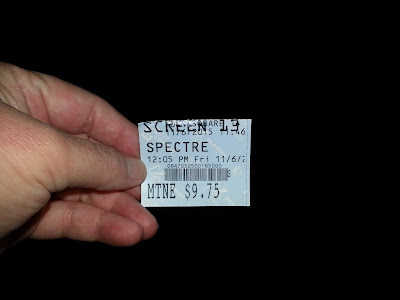 Does this make "Spectre" a bad film? Hell no, not in the slightest, but there is one notable complaint from BigJ and I. Christoph Waltz, who has been a bitchin' bad guy in other films, was underutilized here. Sure, when he is on screen, he rocks his part in a commanding way, but there could have been so much more of him in this movie. With 3 films of lead-up to what should have been this grand finale and subsequent stunning reveal of the puppet master behind Bond's misfortunes, well, it just wasn't what we expected. It would appear the current generation of moviegoers cannot stand anything that's not gritty or dirty or dark in tone, and since this installment of James Bond veers towards the more traditional, we sort of understand the hubbub from the general public. To us, in the end, "Spectre" is still quite entertaining and a good full circle conclusion to this story. We enjoyed it, even if others don't. Will Daniel Craig be back as Bond again? Only time will tell.